People Inc. is getting a one-million dollar boost. 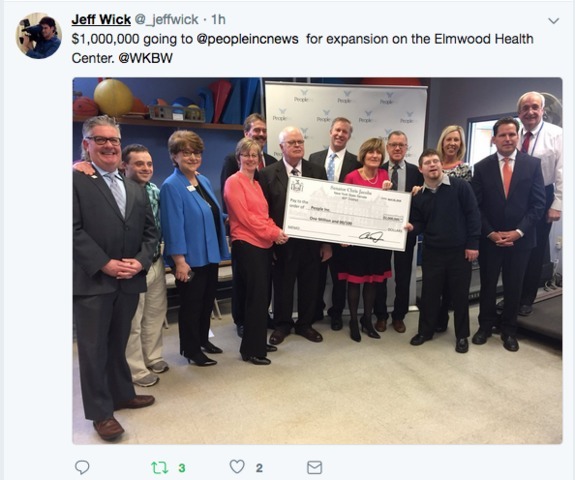 The state funding, which was secured by New York State Senator Chris Jacobs, will support People Inc.'s efforts to build a new Elmwood Health Center. According to Senator Jacobs' office the new center will, "greatly enhance People Inc.'s ability to deliver healthcare to individuals with disabilities, and the general population throughout Western New York."